On 11 February, Chevron Nigeria Limited (CNL), operator of the joint venture (JV) between the Nigerian National Petroleum Corporation (NNPC) and CNL, launched a youth-in-agriculture (Agripreneur) program, aimed at providing training opportunities for young men and women to venture into agribusiness. 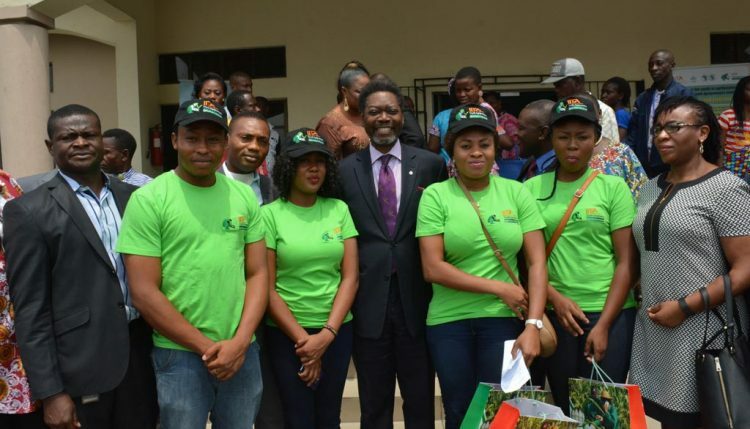 CNL launched the Agripreneur program in collaboration with IITA, the Itsekiri Regional Development Committee (IRDC), the Egbema and Gbaramatu Central Development Foundation (EGCDF), and Partnership Initiatives in the Niger Delta (PIND). Kenton Dashiell, Deputy Director General, Partnerships and Capacity Development, described the initiative as an opportunity that would create wealth and jobs for young men and women in the communities where the NNPC/CNL JV operates. Also, Alfred Dixon, IITA Head of Partnerships Coordination, said the approach of mentoring the youth and working together with them in the communities are other unique features of the program. “We will see ‘peer influence’ at work here in the coming days. Youth want to listen to youth, and we are confident that the trained youth in IITA will transfer knowledge, innovations, and skills to their counterparts in these communities,” Dixon explained. 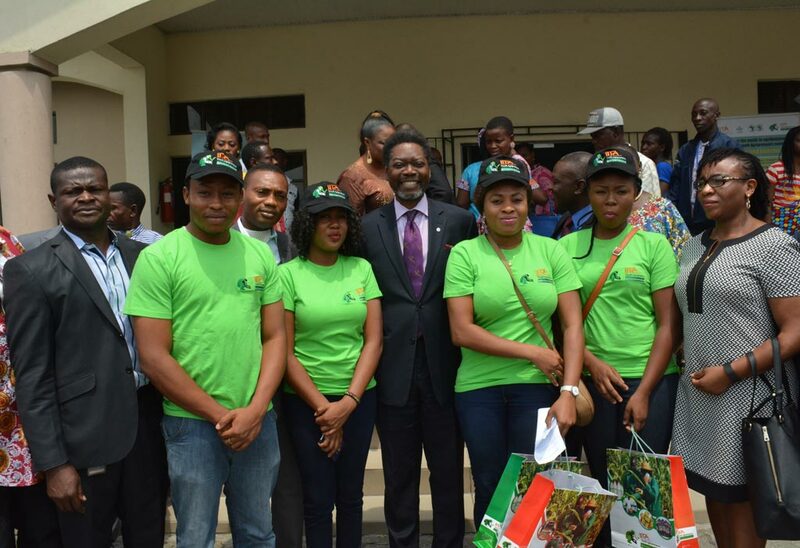 Conceived and developed based on the IITA Youth Agripreneurs (IYA) model, the Agripreneur program will provide mentorship and hands-on training to youth in the Niger Delta region, and will help them develop agribusiness enterprises along the cassava, plantain, and aquaculture value chains. The two-year program builds on past successful agricultural interventions such as those implemented by PIND and other development partners. Evelyn Ohanwusi, Team Leader of IYA, called on youth in the region to key into the program. Ohanwusi and her team are bringing to the program, their personal experiences as “agripreneurs”, and are willing to share their experiences and expertise with the young men and women in the Niger Delta. “When we started a few years ago as agripreneurs in IITA, most of us never viewed agriculture as a ‘goldmine’, but today, we are proud to be called farmers. What happened to us and convinced us to take agriculture as a profession is what we want to transfer to the youth in the communities where we will be working in this program. Agriculture is good, it is sweet… and we want you to join us as we make our communities better and create jobs, not only for ourselves, but also for other youth in this region,” Ohanwusi said. According to Dashiell, the youth program, otherwise known as “Chevron Agripreneurs”, will be primarily implemented by IYA with technical assistance from IITA experts. The pilot program which is targeted at 40 youth from the Itsekiri and Ijaw communities in areas where the NNPC/CNL JV operates in Delta State was flagged off in a ceremony at PIND’s Economic Development Centre at Egbokodo, Warri. The event was attended by various stakeholders including representatives of the Delta State Government, the IRDC, and the EGCDC (the bodies representing the Itsekiri and the Ijaw communities in the NNPC/CNL JV Global memorandum of understanding (GMoU), IITA, PIND, CNL, and the National Petroleum Investment Management Services (NAPIMS), an arm of NNPC. Deji Haastrup, CNL’s General Manager, Policy, Government and Public Affairs, stated that the objectives of the agripreneur pilot program, which costs N188 million (US$940,000), include empowering youth to embrace agriculture and agribusiness as income generating activities and training them on aquaculture, cassava, plantain/banana production, and processing. In addition, the pilot program will assist the Community Youths in Agribusiness Group (CYAG) to enhance the sustainability of the program.